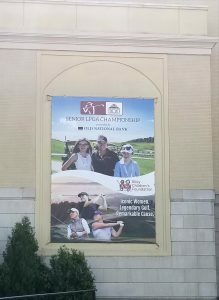 French Lick Resort is all decked out for six straight days of LPGA golf on its two courses. FRENCH LICK, Ind. – It all begins on Friday, the most innovative tournament concept in recent golf – and not just the women’s version. The Symetra Tour, the Ladies PGA Tour’s qualifying circuit, will hold a $200,000 tournament on the Donald Ross Course at French Lick Resort starting on Friday to kickoff off six straight days of tournament golf in this small southern Indiana community that’s not just the boyhood home of Larry Bird. 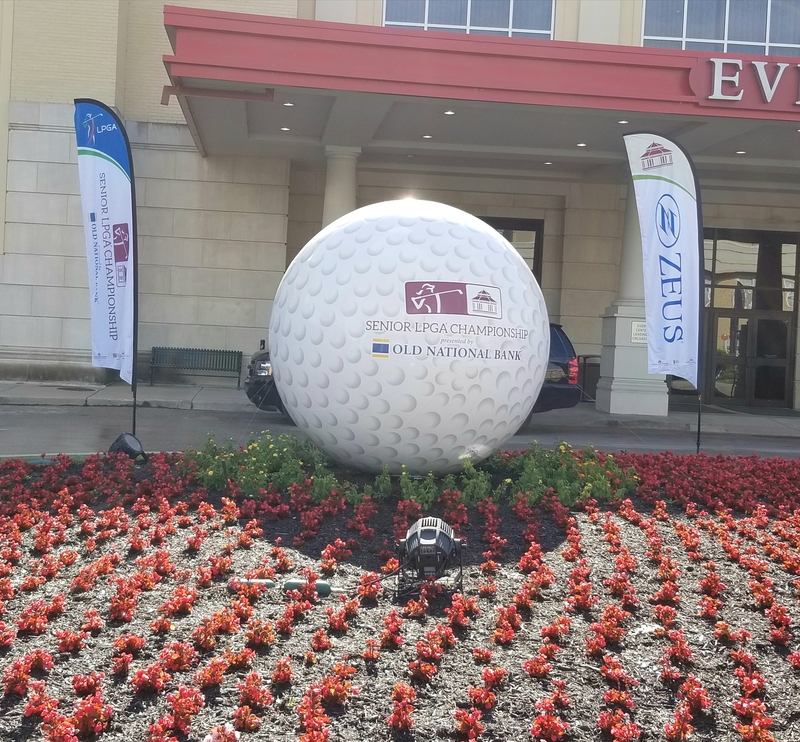 French Lick is also a place rich in golf history, and that’s what is going to be celebrated in these days leading into the U.S. Women’s Open. After the Symetra tournament ends on Sunday an even bigger 54-hole competition — the first Senior LPGA Championship — takes over the spotlight. The Symetra event is called the Donald Ross Centennial Classic because it’ll be played to commemorate the 100-year anniversary of the course that it’s being played on. In any other year that’d be enough to make it a big event. This is not just a focal point for historical purposes, however. The prize money is the second biggest on the Symetra Tour, with the champion receiving $30,000. This 13th event of the Symetra’s 23-tournament season will go a long way in deciding which 10 players move up to the LPGA Tour in 2018. Underscoring the importance of this event to the players, 18 of the top 20 on the Symetra money list are in the field, and the only ones missing have good excuses. No. 1 Nanna Koerstz Madsen wants to prepare for the following week’s U.S. Women’s Open at Trump National in New Jersey and No. 16 Rachel Rohanna got into the LPGA’s tournament in Wisconsin this week. Banners galore declare that a special golf event has come to town. The Donald Ross Centennial Classic will feature 144 of the top rising stars of women’s golf and 30 countries are represented in the field. In addition to having 10 players who are LPGA members the field includes Yu Liu of China who reflected the high quality of play on the Symetra circuit in the previous week’s Tullymore Classic in Michigan. She made 22 birdies in 54 holes in posting a 16-under-par 200 and climbed from 10th to fifth on the Symetra money list. 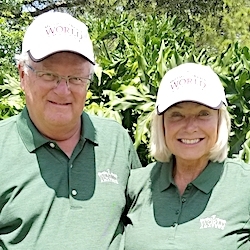 As exciting as all that sounds, the clear highlight of this golf extravaganza will come in the first-ever Senior LPGA Championship on the nearby Pete Dye Course. It’ll feature 81 LPGA stars of the past, most of whom are already familiar with the layout that was selected as the course-of-the-year for 2017 by the National Golf Course Owners Association. The Legends Championship has been played there since 2013. 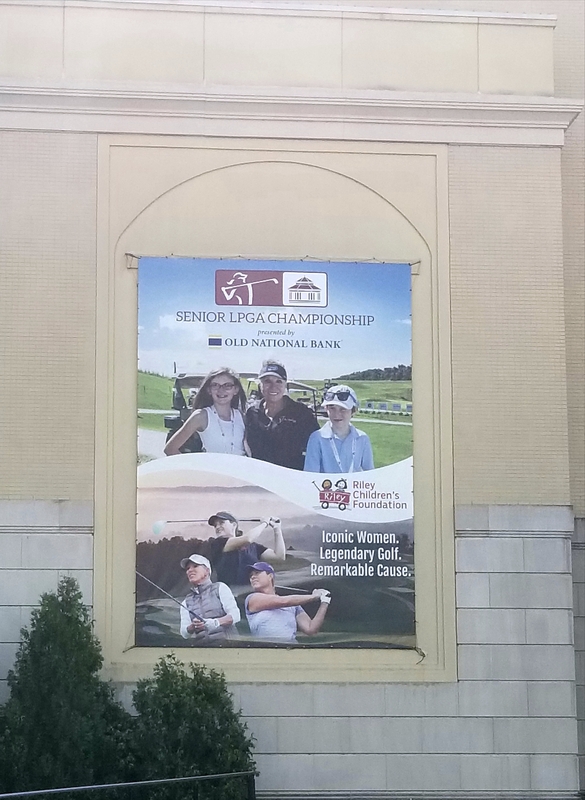 French Lick has a five-year contract to host the Senior LPGA Championship, so it’s much more than an attempt by the LPGA to beat the U.S. Golf Association to the punch in putting on the first major championship for senior women. The USGA won’t conduct its first-even U.S. Women’s Senior Open until 2018 at Chicago Golf Club, America’s first 18-hole course. French Lick is already rich in golf history, but the next week will add greatly to it. The two majors are a little different. 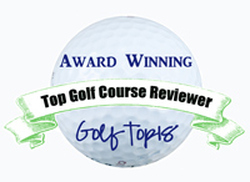 The USGA’s version will be for women 50 and over. At French Lick the age break starts at 45. The USGA’s is also a walking event with qualifying rounds held around the country to determine 120 finalists. 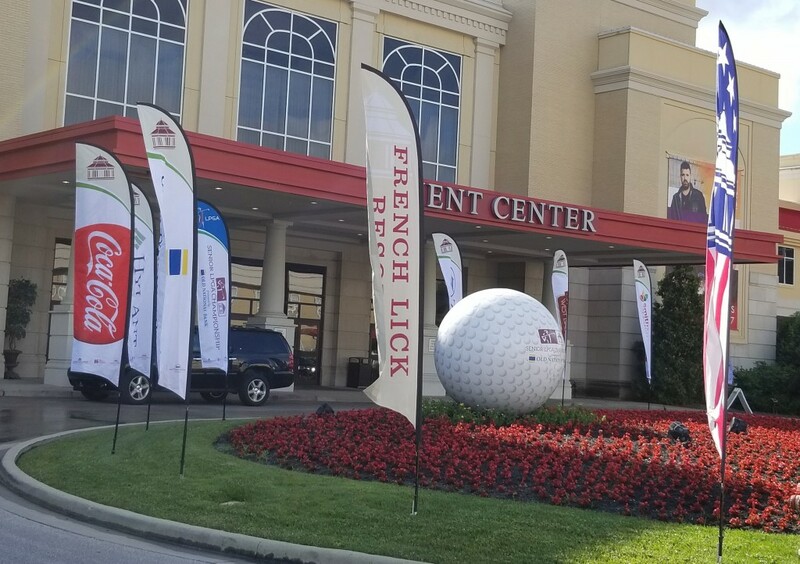 How either will be accepted by the players an fans remains to be seen, but the French Lick version is committed to the tune of a $600,000 prize fund and national television coverage on The Golf Channel for its first staging. TV coverage is made possible by the unusual weekday dates. The tournament will be played Monday through Wednesday, July 10-12, and the champion will receive $90,000. The field fpr the Senior LPGA Championship includes five World Golf Hall of Famers—Amy Alcott, Pat Bradley, Laura Davies, Betsy King and Hollis Stacy — and players with a combined 339 career LPGA wins and 43 major championships.There are 19 players in the field who have won an LPGA major and 53 of the 81 have won at least one LPGA tournament. A special sponsor’s exemption to the tournament is Suzy Whaley, who will become the first female president of the PGA of America in 2018.